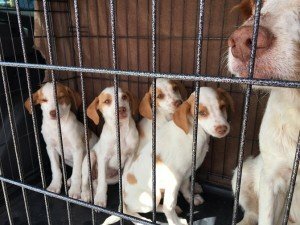 Parvo Puppies found alone in a West TX alley need your help! 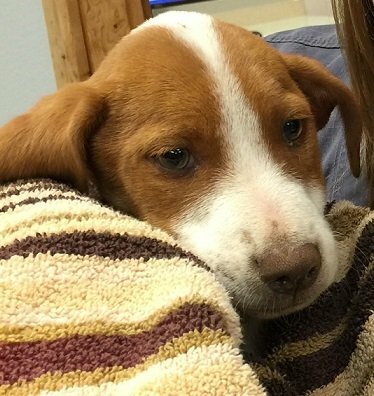 Five sweet little puppies, approximately 10 weeks old, were found abandoned, covered with ticks, infested with fleas, and starving in a Midland, Texas alley with their Brittany mom. They were found by Midland Animal Control, taken to a local animal shelter, and picked up by BRIT on March 10th. 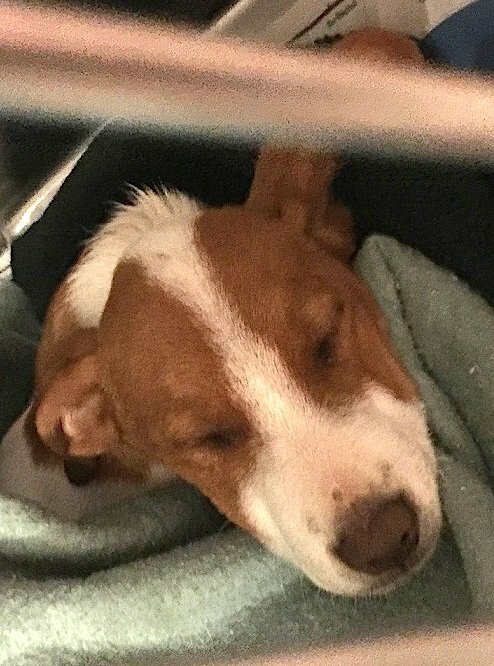 After taking them directly to the vet hospital we learned that one tested positive for Parvo – the others were exposed and have since started showing symptoms of Parvo (e.g. vomiting, diarrhea, fever). The puppy with Parvo is in ICU and the others are under critical care watch. 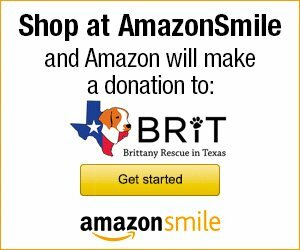 Because regular adoption fees do not cover the high costs of emergency situations like this, BRIT is seeking assistance from our supporters and Brittany lovers everywhere to help us save these puppies and get them well. 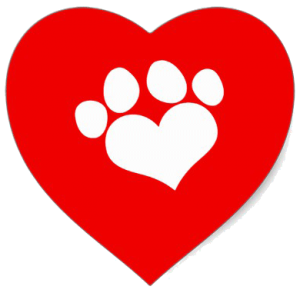 Please make a donation via our Donations Page (PayPal) or click the button below to contribute via our YouCaring donation page. Once they are given a clean bill of health from the doc we’ll start looking for loving forever homes where they can live happy and fun Brittany lives!